By Laurent Masia, NETGEAR's senior product line manager, managed infrastructure. As the number of connected devices is expected to grow exponentially in the coming years, it should come as no surprise that businesses are continuing to look for ways to alleviate network bottlenecks and deliver a fast and seamless response to unpredictable bandwidth demands. In addition, the proliferation of data replication and the widespread adoption of server and storage virtualization in small and medium sized networks are driving the deployment of 10 Gigabit solutions for network connectivity. 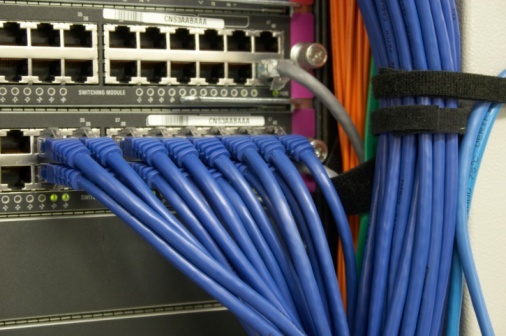 There are various advantages to using 10 Gigabit Ethernet switching solutions, but for the purposes of this article, I’m going to focus on the three that are most beneficial for SMBs. SMBs are optimizing their datacenters by consolidating servers to free up space, power, and management overhead. The first step in doing so usually involves consolidating applications onto fewer servers than the old single-application-per-server paradigm. Often, the next step is server virtualization. As server virtualization relies heavily on networking and storage, virtual machines grow and require larger amounts of storage than one physical server can provide. Network Attached Storage (NAS) or Storage Area Networks (SANs) provide additional, dedicated storage for virtual machines but the connectivity between servers and storage must be fast to avoid bottlenecks. 10GbE provides the fastest interconnectivity for virtualized environments. There are three types of storage in a network: Direct-Attached Storage (DAS), Network Attached Storage (NAS) and Storage Area Networks (SAN). Each has its advantages, but SAN is emerging as the most flexible and scalable solution for data centers and high-density computing applications. However, the main drawback to SAN, has been the expense and specially trained staff necessary for installing and maintaining the Fibre Channel (FC) interconnect fabrics common in SAN environments. Regardless, SANs with Fibre Channel have become well established in large enterprises. Until recently, network design best practices recommended equipping the edge with Fast Ethernet (100Base-T), and using Gigabit uplinks to either the core (for two-tiered network architectures) or aggregation layer (for three-tiered networks). Today, traffic at the edge of the network has increased dramatically. Bandwidth-intensive applications have multiplied, and Gigabit Ethernet to the desktop has become more popular as its price has decreased. Broader adoption of Gigabit Ethernet to the desktop has increased the oversubscription ratios of the rest of the network and, as a result, a bottleneck between large amounts of Gigabit traffic at the edge of the network and the aggregation layer or core has been created. Up until now, 10 Gigabit Ethernet switching has been an unattainable pipe dream for SMBs because of high cost, but NETGEAR’s 10 Gigabit switch solutions combine the latest advances in hardware and software engineering for higher availability, lower latency, power consumption and stronger security—all at industry-leading, breakthrough price points. As copper prices continue to fall drastically, businesses are continuing to adopt it so they can embrace faster networking speeds to help manage the increased demands on their network caused by the proliferation of mobile devices and the influx of multimedia content.